You know, I would love to be able to link you to someone else’s Deviant Art page and pin the responsibility on them, but no, I totally bothered to do this. Smith is also the only Doctor who got to make out with the Tardis. And Tennant’s head in the third panel is far more hilarious to me than it probably should be. 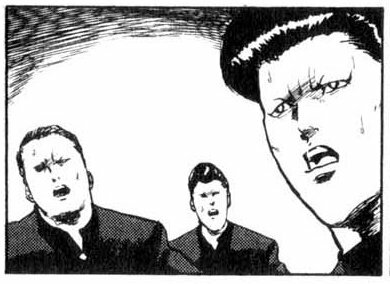 Mostly because it reminds me of a Cromartie High School reaction shot. I haven’t seen the making out with the Tardis thing yet, I’m behind on this season of Who. Too much stuff to watch…speaking of which, I haven’t seen Cromartie High School yet either:(.